Mario A. Segale, a Seattle-area real estate developer who unwittingly lent his name to perhaps the most famous video-game character in history — Nintendo’s Mario — died at a hospital on Oct. 27. He was 84. Kim G. Brown, of the Marlatt Funeral Home in Kent, Washington, confirmed the death. The cause was not specified. Starting in the 1950s, Mr. Segale built a small empire in construction and real estate in Tukwila, a suburb of Seattle. 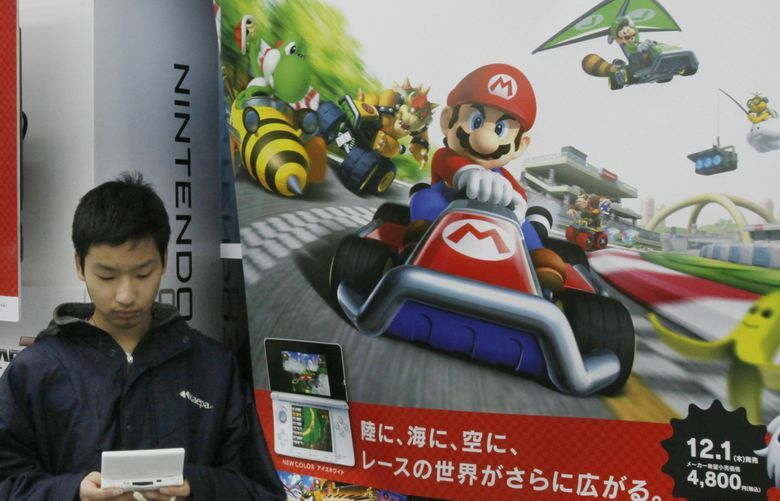 Around 1980, he rented a 60,000-square-foot warehouse to Nintendo, a Japanese video-game company, as it sought to expand to the U.S. market. In his book “Game Over: How Nintendo Conquered the World,” David Sheff wrote that a small company team had gathered in the warehouse one day and was struggling to come up with American names for the characters in the arcade game “Donkey Kong.” They were stuck on the character of a squat carpenter wearing a red cap when there was a knock on the door. It was Mr. Segale, who had come to berate Minoru Arakawa, then the president of Nintendo of America, for being past due on the rent. Arakawa was already under great pressure to succeed, and Mr. Segale “blasted him” in front of everyone, Sheff wrote. A flustered Arakawa vowed that Mr. Segale would get his money soon. In a video published by Nintendo in 2015, game designer Shigeru Miyamoto confirmed with a simple nod that Mr. Segale had inspired Mario’s name. Mario Arnold Segale was born in Seattle on April 30, 1934, to Louis and Rina Segale. The funeral home’s online obituary describes him as the only child of Italian immigrant farmers. He started his company, M.A. Segale, with a single dump truck, the obituary says. It became a major construction contractor in the Northwest. Mr. Segale also continued his parents’ practice of buying land around Tukwila, and he established a business park there in the early 1970s. Mr. Segale sold the construction company in 1998 to concentrate on Segale Properties, the family’s real estate business. The company also owns commercial properties in Seattle and agricultural land, including a vineyard, in Eastern Washington. Along with his son, Mr. Segale is survived by his wife, Donna, whom he married in 1957; three daughters, Lisa Atkins, Tina Covey and Nita Johnson; and nine grandchildren. He did break his silence in 1993, shortly after the story of Mario’s naming was published in Sheff’s book. The Seattle Times asked Mr. Segale what he thought about his name being used in a game that was so popular. “You might say I’m still waiting for my royalty checks,” he said.